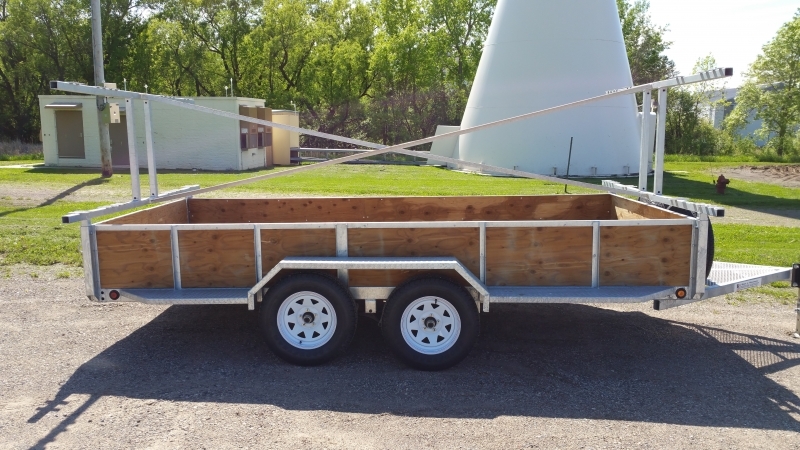 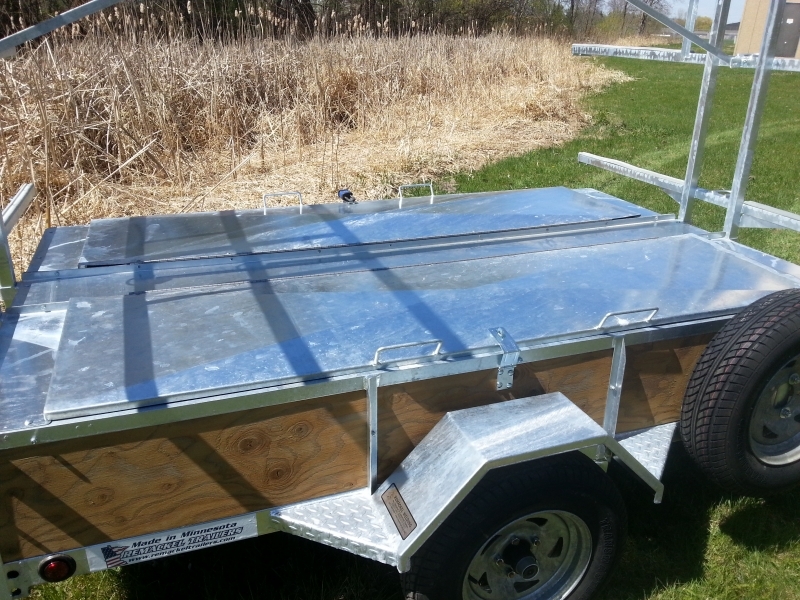 Our custom made canoe or kayak, utility and equipment trailers are designed to be durable and meet your custom trailer needs. 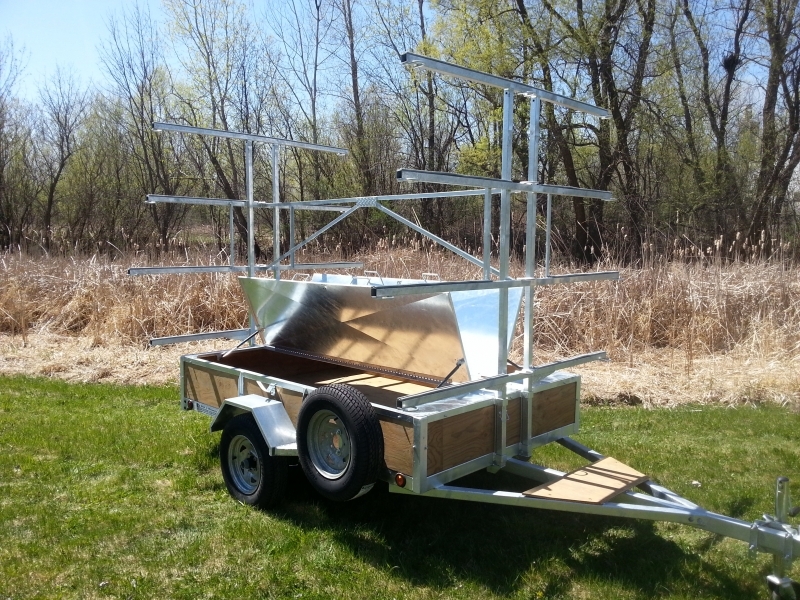 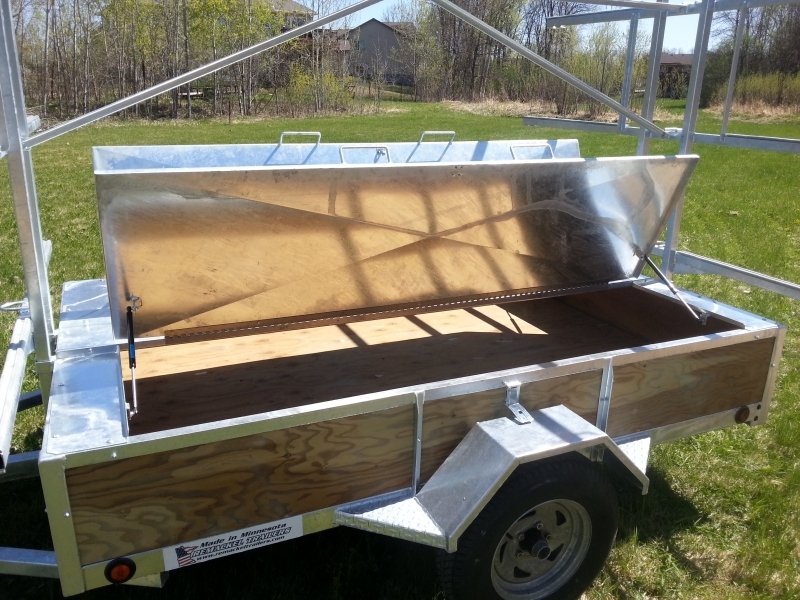 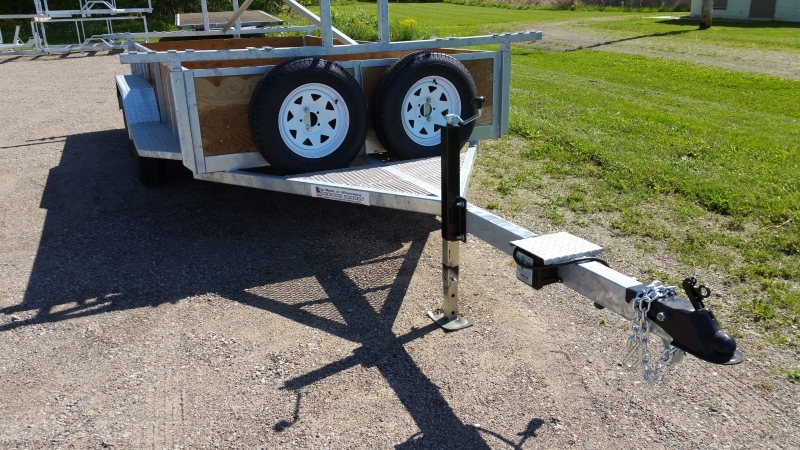 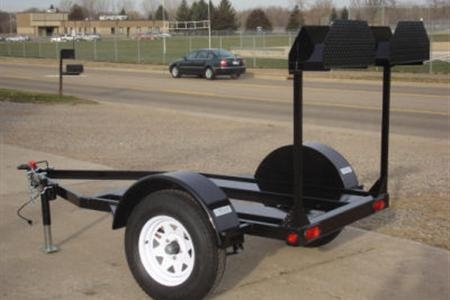 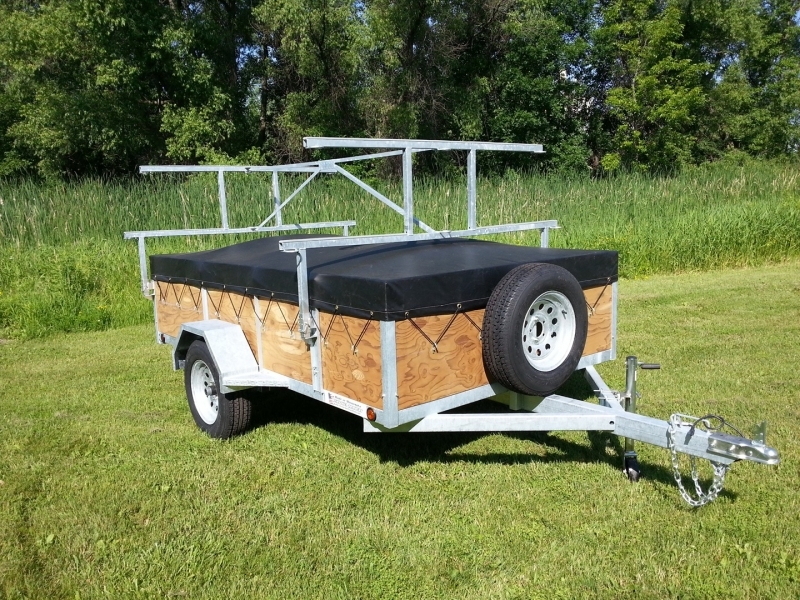 We’ve had custom canoe and kayak trailers for sale for the past 35 years in Minnesota. 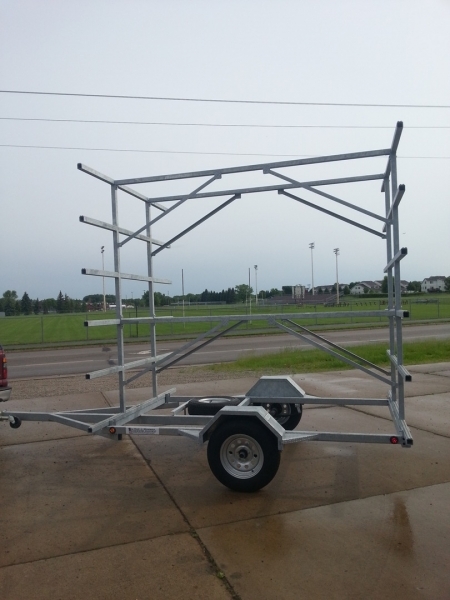 Call us at 651-464-2889 and we’ll make it happen! 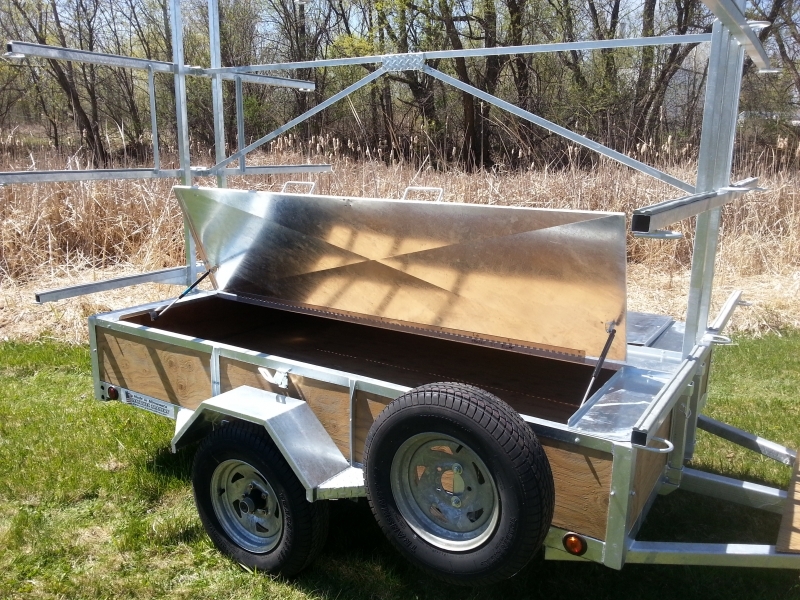 6 1/2ft wide by 14ft long 4 Place Sea kayak Trailer with an 8ft tongue on tandem 3500lbs axles. 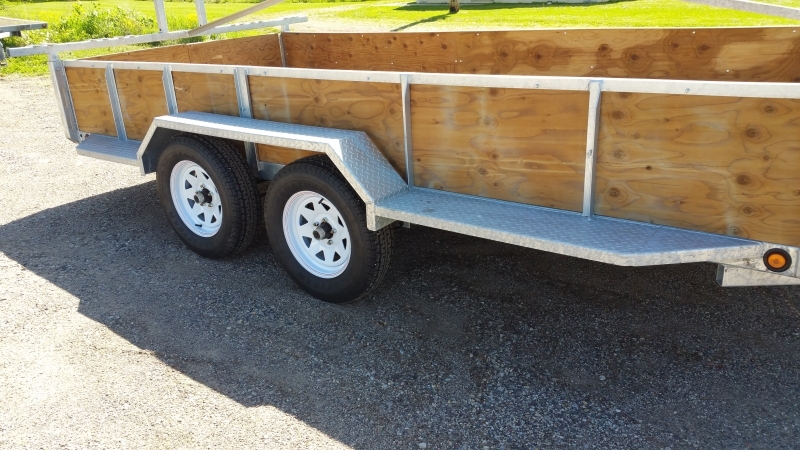 Custom running boards along the side of the trailer so you can step upon them to load sea kayaks, kayaks, or canoes.